Back in the 1990s I was kind of putting Nessie in the background. I was getting married, kids were born and you know the rest of the script. So it was no surprise that some Loch Ness Monster things went under my radar only to surface to my own view years later. 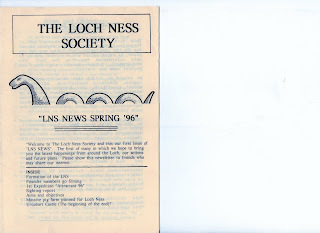 One of those was the Loch Ness Society formed in 1996 by Ian Kelloway, Richard Carter and Ian Martin. 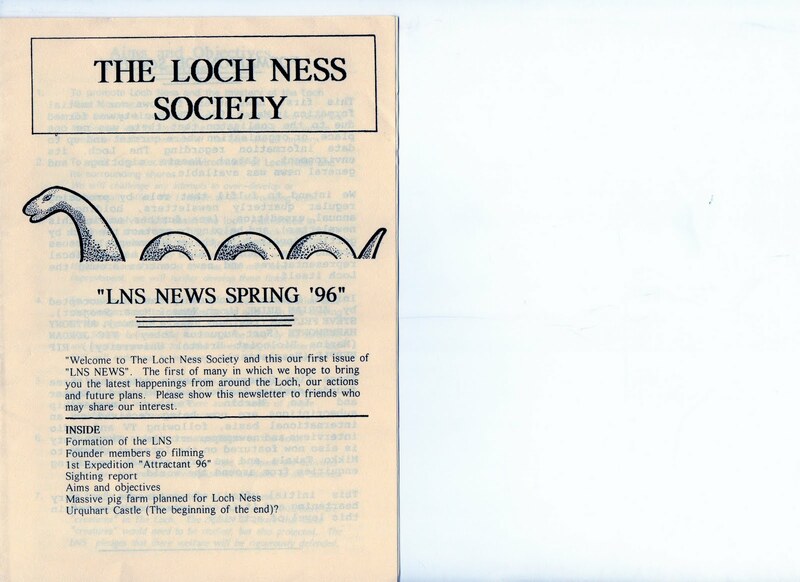 It was well intentioned in that it produced a regular newsletter to keep Nessie-philes informed and get them together now and again for a hunt and a pint. All perfectly admirable but by the time I was back on Nessie things, they had gone. 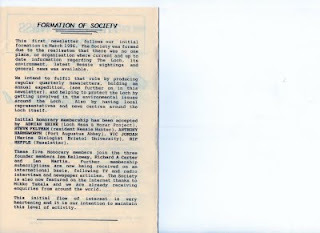 The first two pages of their first newsletter is reproduced below to jog any memories. 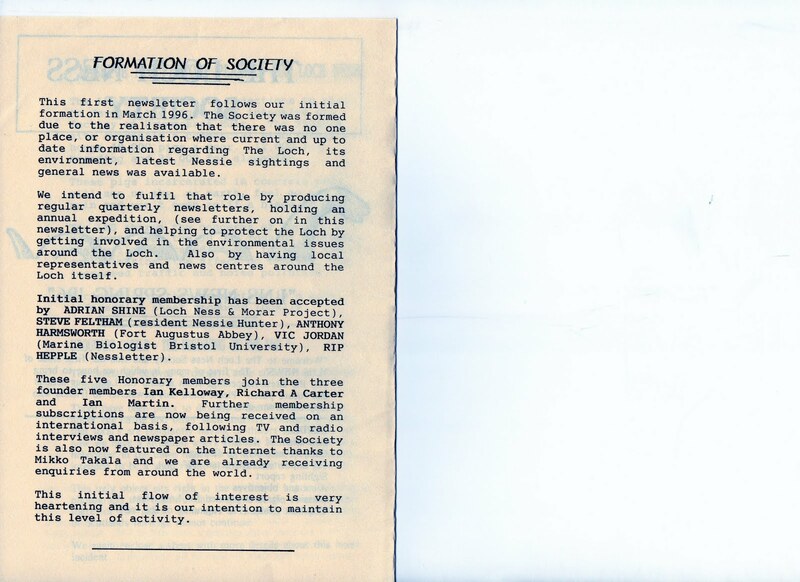 I say "jog" because I would ask anyone that knows about this society to let me know how it progressed and finally disbanded. Also, where is co-founder Richard Carter who was actively involved in the hunt in the 1990s but has now seemingly dropped out? Unanswered questions ... drop a comment if you have further info or even access to more of these newsletters. Note in the video my brief sighting of a boat. Now going by the google map below, I estimate it was about 1,500 yards away or pretty similar to the distance that Tim Dinsdale saw his hump at. Even though I thought it was a boat with the naked eye, I applied the binoculars and this was confirmed. Once again, I don't think Tim would have been so easily fooled either. The only difference was that I was at loch level and he was about 300 feet up. Make up your own mind whether that makes a whit of difference at such a distance - I don't.